PowerPoint is one of the most used ways of creating presentations. The method is not just but helps in covering a lot of points into some slides. For teachers and the people who are related to business, converting your PowerPoint files into video is the best way of demonstrating your ideas in front of so many people. Furthermore, there are times when you cannot be present in the class or in a meeting, so the video will help in making your audience understand what you want to say even if you are not present there. Other than this, you can also upload your Powerpoint videos on the internet which can help a lot of other people who were unable to attend your presentation. It can be supported by WMV and AVI. In this article, we will introduce 3 easy and simple ways which you can use for converting your PowerPoint files into a Video. Each method has its pros and cons, so choose the one which suits you the best. The best thing about this feature is that it is easy. Everybody prefers convenience over any other thing. This is why they find ways which are easy. Another advantage of this is that it you can record your narration directly into the PowerPoint. You do not need to download any other device or app to record your narration. You cannot edit anything in it. Everything will be recorded and you cannot cut it. There is a lack of mouse circle and any other annotations. There is only one expert video format. For the resolution option, it is limited to three resolution options. Now how can you use this feature? The method is very easy but for this you have to have a PowerPoint file first. Once you have the file, the next step is to save that file as a “video”. In order to save the file as the video, just click on the option ‘Export”. When you will click this option, you will see a “Create the Video” option. Here you will see the options like “two drop-down menus” and “a time value box”. The drop-down options will help you in selecting the quality of your video. You surely do not want to create the video whose quality is compromised during the process. This is why, more options will be provided to you to select the size of your video. The other drop-down menu will provide you an opportunity to edit anything in the video. This means you can include anything or even omit anything from it. In order to determine the time of your video, Time Value box will be at your service. Finally, you will see a “create Video” option. Save it to the location from where you can easily find it. You can easily control the resolution of the video along with the quality of the audio and video. You can edit it easily which means you can add watermarks too. Cons: like any other app, this has a free version too, but the free version have certain limitations. For instance, you are not allowed to have a HD video, you also haa the time constraints, no editing will be allowed. You have to spend some money if you want the best results. iSpring River is one of the best options for the Windows because it is best when it comes to recreate Animated effects which are already in your video, no compromise on the quality of your images, audio files and video. Furthermore, all the transition effects will be converted into the video perfectly. Nothing will be changed while converting the PowerPoint file into the video. Your video will be the same as you want it to be. At the same time it does have one disadvantage like it is very expensive. It can cost you for about $67. The main features of this software are that it allows the people to customize the slides with the help of a watermark, they can also add a soundtrack. It also provides you an opportunity to edit the previous features and add the new ones. Best video converter to HD videos. Online converters are the best thing in the world as it helps in converting your PowerPoint into many video formats along with the downloading. Anyone can easily use it. It has the capacity to covert the files which were directly uploaded from the hard drives, URL, or even from the Dropbox. Not just this, but it also offers multiple options so you can format the output. All of your presentations are expected to be uploaded on the internet which can start the conversation. Since, it is an online converter, it can cause problem for some people while downloading the final results. The recording quality matters a lot, so in order to keep it the way you want it to be Screen Recorder is the option which you can rely on. It helps in optimizing the video resolution. To provide your audience a video which last long in their memories, Screen Recorder helps in recording multiple materials in your video, this means that you can save music, or any other thing which you think can have an impact on the audience. This software is actually very helpful for all the teachers as it features multiple ways and many editing options of creating the video which can have the positive impact on the minds of the students. Anybody can easily use it or even drag and drop the interface. 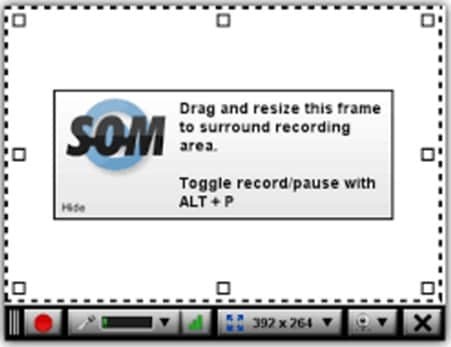 Limitless screen recording along with the recording feature. No Watermark is added. To highlight the points there are 4 colors of mouse. Several motion elements are in incorporated in this recorder. The results are of good quality. Easily shares the video on YouTube. You can save your video in multiple formats. Free versions have the editing tools. You can record the files in mp4 format only. Mobile device are not compatible with this. Besides Filmora video editor, Filmora team also released the specially designed screen recording software, Filmora Scrn, which allows you to record your webcam and your screen at the same time. Oh, if you want to add some callout or annotations in your PPT, you will be pleased with Filmora Scrn annotation effects as well. The software is very easy to use as it is supported by Mac and Windows, as it launches it as a Java applet without any installing of other devices. Saves your video in to the mp4 format. Students can also install it on their computer as it is free. Even if it is available for free, it will create some trouble. It automatically adds a watermark on the videos. However, there is a Pro Version available which helps in unlocking many amazing features. This is the ways that we figured out for converting your PPT to videos, whether you are using a MS PowerPoint which has the create video option or not, you will get the solution to converting PPT to video. Let’s know in the comment below about how you covert your PPT to video.